MINI may not have had anything new to show at Frankfurt, but there was certainly a buzz around it, given the impending launch of the F56. The hot topic of conversation was that MINI could grow from the current seven model line-up to ‘eight or 10’, thanks to the flexibility of the new architecture that underpins it, the UKL1 platform. BMW Group is aiming for a total output of 900,000 UKL1 cars per year and that not only includes MINI variations, but the front-wheel drive BMW 1 Series offshoots, such as the upcoming GT. Currently, the R56 hatch and the Countryman are the best sellers in the range globally, taking about one-third each of total sales leaving another third to be split between the five other models. Those additional model lines don’t look likely to be smaller, entry-level models, as hinted at by the Rocketman Concept (below). The new architecture allows for the MINI range to stretch in length from 3.8m to 4.5m – whereas the Rocketman was nearer 3.25m in length. ‘We have to be very careful how we develop the product portfolio and the MINI brand,’ said Peter Schwarzenbauer, board member with responsibility for MINI, Rolls-Royce and Motorrad, the motorcycle division. ‘We’re defining the long-term portfolio and asking what the image of MINI will be in 2020. 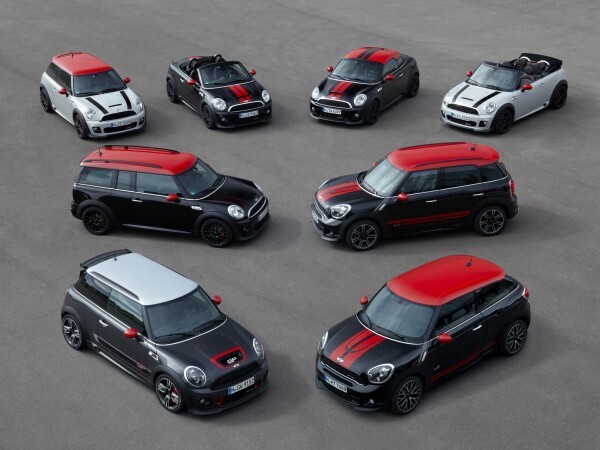 But we have to respect MINI’s heritage,’ he said, adding that the reason the variants have become bigger is in response to customer feedback. Global sales are currently around 300,000 and, with production now at three facilities – Oxford, Magna in Austria and NedCar in the Netherlands – there is the potential to grow further. ‘But I’m not a fan of putting big numbers out,’ Schwarzenbauer added. Yeyyyyyyyyyyyyyyyyyy! cant wait for the MINI Luton. 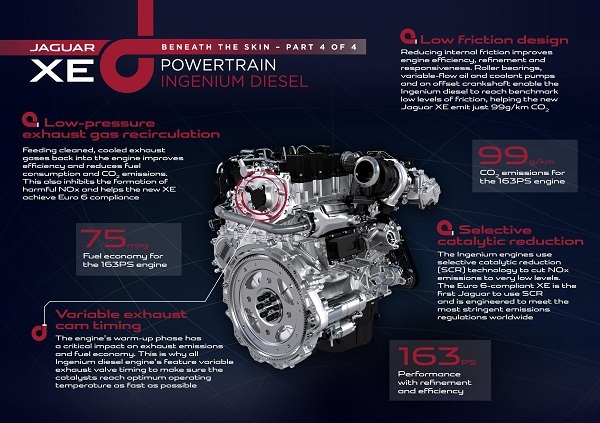 What does F56 mean for the engine plant at Coleshill? Customers wanted bigger cars, that’s why MINIs got bigger. Uhhh?! Why don’t they expand the range to include a small car? No wait, they’ve probably got a MINI-bus in mind! All MINI engines will continue to be made at Hams Hall in Birmingham. What about the Riley version that Autocar said was coming? The Elf / Hornet style booted saloon is likely to be coming, though primarily for the Chinese market where they love their small saloons. “People want bigger cars” possibly because we have got bigger or the proliferation of McDonalds “restaurants”. Herald, to prevent dilution of ‘Mini’ and better still, relaunch Triumph! All the ingredients are there, BMW ownership of the car side of the name, a longer wheelbase, boot, convertible and estate derivatives, Vitesse spec rather than Cooper, adjustments to give a better ride rather than handling, feminine two tone colours and a couple of nice fins and you’re away! Musn’t forget the ability to turn on a 6d either! That would be helped by narrower tyres, fashionable now for economy. As Mini has a one piece bonnet 9as did the Herald) I can’t see the engineering would be too difficult to add a slightly longer bonnet to lift in the same way. All those Mini buyers can trade up to a more mature brand with more room and comfort. I’m sure a nicely styled Spitfire based on the mini roadster would be a hot seller in the US too. My first car was a Herald, so maybe I’m biased, but hey, nice dreams! It’s just getting out of control… Specialist cars (and I suppose the Mini of old was a specialist car in its own right) should not need ranges to keep them bouyant but now we have a ‘range’ of Minis, Bentleys, Rolls Royces and Aston Martins…!!! It’s all bl%%dy wrong!!! I have no problem with having lots of variants, but can’t help wondering how profitable some of them are. Haven’t they forgotten the ClubVAN? Mini, Mini and Mini. Boring. Still waiting for new Triumph. What they should have locked down was that the Hatch no matter what keeps its Retro styling round lights, Vents, Speedo etc paying respect to the classic. 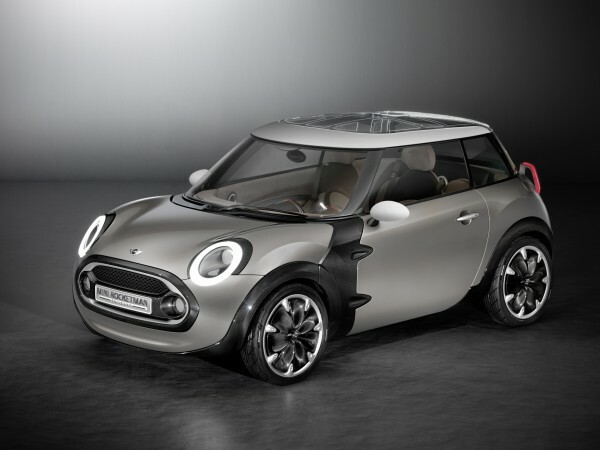 I have no problems with any of the MINI cars as long as the Hatch is not turned into a dull one series BMW. If the front end looks as bad in real life as the spy shots Ill not be buying a new MINI. Back up plan is to get a Clubman that is still getting built if need be. Why the car has a bottom lip I cant tell you you would have to ask the idiot in the design department that put it there. Still we have not seen it so it may not be the ugly sister every other Car brand hope it is. I hope they do a MINI H Block Maze prison special edition- with a rooflining and alcantara door trims smeared in human excrement and windows that open two inches for feeding. Unfortunately BMW know that they can bring out ANYTHING with a MINI badge on it and it will sell. No matter how big, ugly or expensive. People buy according to brand these days, or at least the big companies think so. Look at the Porsche Cayenne. Louis Vuitton bag or ALDI? they do both the same thing! This is getting silly now (the mini range not the comments). And I have yet to see a Paceman. I am looking forward to the forthcoming Mini Reliant Robin though. BMW have developed a three wheeled version for fans of Reliant three wheelers. Must be April 1st. Why not introduce a city car version closer in dimensions to the original Mini. Maybe with a three cylinder one litre engine to reduce road tax to 0, fuel consumption of 50-60 mpg and a price tag closer to a Suzuki Alto than a BMW and they could have a winner here especially if it’s made in England. Shame BMW didn’t have the sense to twin a Rover hatch with the Mini, they could have easily sold 400,000 units way back in 1999 and built things steadily from then on, with no need to sully the BMW brand with FWD models, which I’m sure I recall BMW advertising claiming is a bit rubbish…. The classic Mini also had lots of variants such as Morris/Austin Mini Saloons, ‘Woody’ and all-steel Countryman/Traveller/Clubman Estate, Mini-van, Mini Pickup, Riley Elf/Wolseley Hornet, Mini-Moke, Clubman/1275GT saloons and various Cooper & S versions. Still think the idea for a city car close in principle to the original but for the modern era should be considered. Being British and with the Mini badge, it should sell in big numbers. The idea should be for a car that sells for £ 7000, have features that owners take for granted nowadays like central locking and a CD player, and be capable of 100 mph flat out. I wonder what we’ll get next? MINI Stretchman (limo), MINI Doubleman (double-decker), MINI Continentalman (articulated chassis), MINI Tatman (MINI truck with tannoy speakers) or finally MINI Batman (black MINI with 2 seats, flame-thrower exhaust and a red phone with a hotline back to Gotham City)……. How about a Vanden Plas Mini with the oversized grille off the Vanden Plas Allegro? a 7 SEATER like the newest 500L, up to 4,5M in length on UKL1 platform!!! That figures…Some good ideas Simon H, copyright these names, you never know! Thank you lads. Made me laugh! The scent of madness is all around us. Anyone else try the slide on the Mini stand at Frankfurt or walk on the netting above the cabrio? MINI GILF fistfest special edition? Brilliant, BMW are keeping the MINI fresh and relevant for the next generation of motorists. @30, Dont you mean next generation of drones? They will kill the Mini brand ere long and need to be thinking about what next, once the image has been diluted in the punters eye. They could have preserved Mini but the plot is now lost. Nothing wrong with a bigger car in the range, but it should have been a “Maxi”, not an enormous Mini: that is a contradiction in terms, and the cars look like a contradiction. Cant ever imagine a Mini Pickup, what sort of builder or tradesman would want that… except some sort of nancy boy who would be s##t scared of scratching the paintwork or dirtying the nice part leather trim! @33 – They wont kill the brand as it is now. People who buy MINI’s now make little or no connection with the 1959 car. They will happily accept the broad range of cars proposed and wont give a stuff about heritage. I’m sure some people (including our resident gob shite) will take issue with what BMW are doing and think the Mini should still be a one model shoe box, but as BMC found out 54 years ago, thats not good business. @Paul H – you’ve hit the nail firmly on the head. Like you, I only really like the hatch (and roadster in my case) and wish they’d cut out all the crazy niche versions. But business is business and my understanding is that modern industry dynamics would make MINI unviable if they only produced one model. So what they are doing is good business, regardless of what us enthusiasts think. 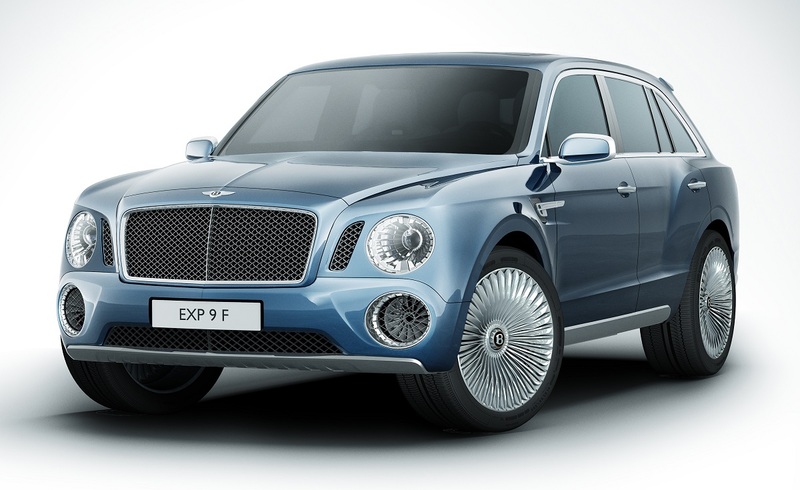 It’s the same with Jaguar with their proposed SUV, small executive car and other bits. Same with Land Rover with the Evoque. Etc, etc. While I agree that some of the MINI variants are in very questionable taste, they are a British company building the majority of their products in Britain and are a success story. Their main product, the hatch has one of the best chassis in the business, despite its cute looks. They deserve their success. Maybe we should be pleased at this sign of our motoring industry’s recent renaissance?